Maybe you brought back a collection of shells from a beach vacation. Or maybe you bought a bag of them at the dollar store. Either way, they are great for decor projects! Want a unique way to display them? 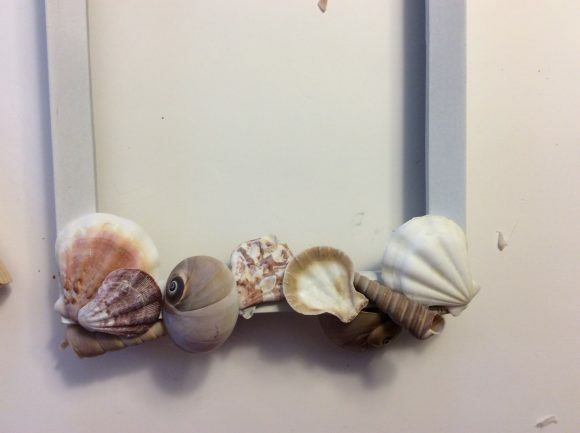 Try making this easy picture frame! 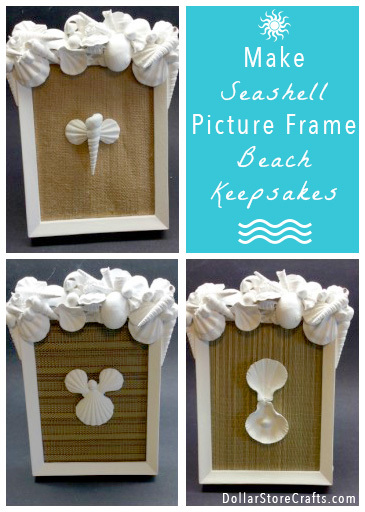 You can fill it with your favorite photos, or you can add a fabric background and use them to display even more shells like a shadowbox. Remove the glass and backing. 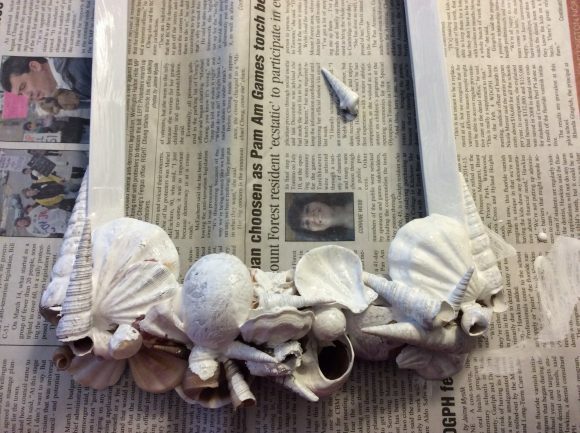 Start gluing the shells onto the top of the picture frame. Use a generous amount of glue. I would glue a shell on one side and then the other, but you can design them any way you like. I used the pebbles for another shape. Using a sponge paint brush, give the entire frame a generous coat of paint and let completely dry before adding additional coat(s). Hold the frame at different angles so that you cover every bit of visible surface with paint. By using a sponge paint brush, you can squeeze in and get every nook and cranny. 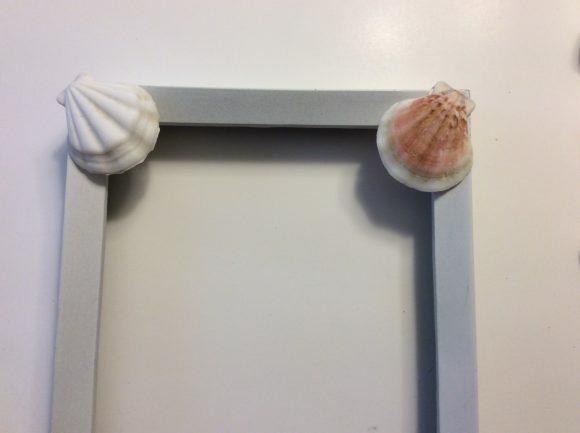 Replace the glass and backing to insert a photo or create your own “picture” out of a fabric background and more shells like I did.